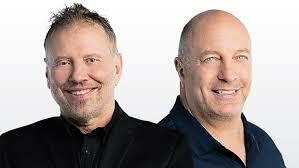 TORONTO (March 14, 2019) – With Vancouver’s most-trusted roster of sports hosts and analysts, TSN 1040 Vancouver – the voice of the city’s sports scene – reveals a new weekday lineup hitting the airwaves Monday, April 1. 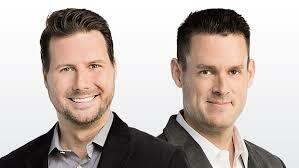 Making the move from mid-mornings to the 6 to 10 a.m. PT timeslot, TSN 1040’s HALFORD & BROUGH, featuring co-hosts Mike Halford and Jason Brough, brings the duo’s unique insight, analysis, and humour to the biggest stories from across the sports landscape. Fans can keep up-to-date and entertained during the work day with the station’s midday program, DONNIE & THE MOJ, featuring veteran co-hosts Don Taylor and Bob “The Moj” Marjanovich, airing from 10 a.m. to 2 p.m. PT. Each weekday afternoon for the weekday drive, Matt Sekeres and Blake Price continue to deliver in-depth opinions and dynamic sports debates on SEKERES & PRICE airing from 2 to 6 p.m. PT. 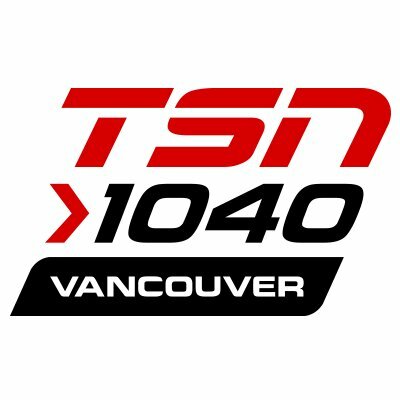 TSN 1040 is the exclusive radio home of the BC Lions, Vancouver Whitecaps FC, and Seattle Seahawks. The station also delivers live coverage of TSN’s slate of major sporting events, including the Grey Cup, IIHF World Junior Championship, and much more. The station continues to feature frequent contributions from TSN’s all-star team of Insiders, experts, and analysts. Along with listening on AM 1040 in Greater Vancouver, fans can listen live at TSN1040.ca and through the TSN app. 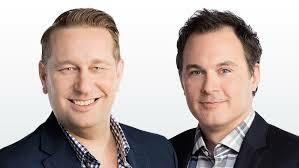 The station’s podcasts are available on-demand at TSN1040.ca. When you look at the weak ratings of TSN 1040, saying you are the fan-favourite voice of Vancouver sports isn’t saying much. Not sure if they are making much or any money when you consider the hefty lineup coupled with bare bones advertising revenues. One thing Bell needs to do is start building on ridding 1410 of all sports and making the station more like CFRB in Toronto with live simulcast of national shows as well as local and provincial NewsTalk possible simulcasting with CFAX on a provincial level. If done properly in a few years the station could realistically be in the 4-5 rating range.